At Whitehouse Leisure Park, we have a comprehensive range of bargain caravans in Wales. But they go fast. Ours is a busy, family orientated park so the best deals tend not to be around for long. Here are some that we think represent excellent value for money and have been recently reduced. The Cosalt Baysdale 2004 model has a sleek, attractive design both interior and exterior. 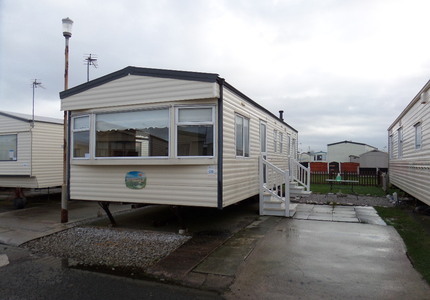 For sale with North Wales Caravans, it is an ideal static home to be sited and connected on Whitehouse Leisure Park. With 3 spacious bedrooms up to 8 people can sleep comfortably in the holiday home. Included in the price of £15,900 are sites fees for 2017, siting and connection. This really is a ‘must view’. For more details please call 01745 832112, click on Cosalt Baysdale and take a look at the video which will give you a first impression. Search our website for new and used caravans for sale where you will find static homes for sale starting from £9,995. Many have 2017 site fees included and some have other extras. If you are considering purchasing a static home this or next year do contact us even if you can’t find what you are looking for in our inventory. We have associations with a number of caravan parks and dealers in Wales.